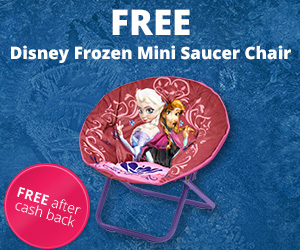 FREE Disney Frozen Mini Saucer Chair!! Add 1 "Disney Frozen Mini Chair" priced for $13.98 to your cart and checkout. Do not add anything else to your cart. If the price changes or anything happens to the stock, the deal if officially over.